Posted on Nov 17th 2017 by John H.
If you haven't integrated SMS marketing in your overall strategy, you're probably missing out on all the big fish in the pond. SMS marketing, if done right, is a powerful tool to boost your conversion rate. SMS, or texts, are a highly popular means of communication among young people, the future potential consumers. SMS has a higher opening rate than e-mails. It's 98% for SMS and 20-ish% for e-mails. Businesses who do SMS marketing have 40% more conversions than those who don't. Yes, it's great. But how do you use SMS marketing to its potential best? 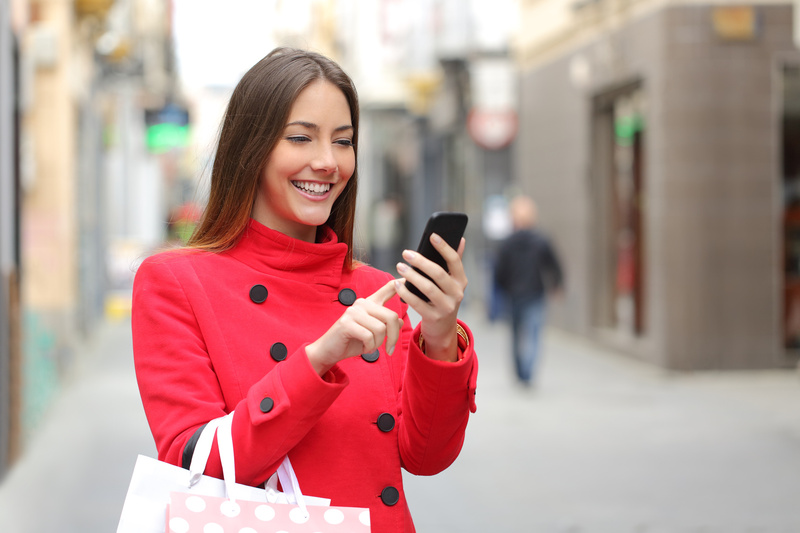 How to get your customers engaged through texts? We're sharing the ten best tips in SMS marketing to bring more money to your business. It's not as obvious as you may think. Depending on where your business operates, there are laws to protect telephone consumers against unsolicited messages/calls. In most cases, you can only send SMS to costumers who have explicitly consented to receive texts from you. Otherwise, you'll risk getting a fine for each text. And if you're sending unsolicited texts with a bulk SMS service, it adds up pretty quickly. So you need to get that permission in writing. One strategy is to provide a checkable case on your subscription form. If you're a small business and struggle to build a large database, you should know it takes time. But never be tempted to cheat on the law. Many businesses make the fatal mistake of not giving a clear call to action (CTA) in their marketing texts. Psychologically speaking, humans tend to want to act when they're told to. CTA is what will make a real difference in your conversion rate. Some of the best CTAs to include at the end of your SMS are a website link or a phone number. Not only do they tell people to take action, but they also show them where and how. One great thing about text marketing is it forces marketers to be creative. With only 160 characters to talk about your offer and tell your customers to act, SMS marketing can be a form of art. What can you do, then? First, avoid fluff. You can tell jokes in social media posts to add stickiness, but in an SMS, go straight to the deal. "Get three pizzas for the price of two this weekend". Second, shorten your link. One favorite tool to do this is bit.ly. We know it's not perfect, but as long as people know it's clickable, it'll still work. It's quite obvious you don't want to wake up your customers or bother them during dinner time. What we mean is you should consider giving enough time for the customers to act. Let's take our example above that says "this weekend". Don't send it on Saturday, but on Tuesday or Wednesday. Another aspect to consider is the number of texts you send throughout the week. There's no exact science in this, but many businesses have received great results with one to two texts per week. Some others opt for once per two weeks. Try several recipes within a limited period to see what works best for your business. Ah, the spams. Spamming is not only about frequency (see tip #4), but also and most importantly, it's about quality. Don't text your clients just for the sake of texting (or for them to not forget about you). Only send SMS when you have valuable information or real deals. It's vital for your marketing team to know how to choose what's text-worthy and what's not carefully. Spams will annoy your customers and lower your credibility in their eyes. Speaking of quality, the deals you send through SMS marketing must be incredibly good, that your customers simply can't say no. Also, the offers through SMS should not be the same as the ones you send via other means, like e-mails. The point is for the customers to know that this great deal is only available on SMS, and not somewhere else. This gives them a reason to be or stay on your list. People change phone numbers all the time. So to avoid wasting money and time sending messages to inactive numbers, you should schedule a regular database check. Ideally, do the update once a month. If you happen to delete a lot of numbers, it's time to advertise your short code everywhere: flyers, brochures, e-mails, and websites. Aside from wasting precious characters, emojis tend to annoy people, especially those from earlier generations. Also, it's highly unprofessional. You'll want to keep the image of your brand good. Another thing you should avoid (or stop doing) is abbreviations. It's perfect for saving space, but a lot of people won't understand what you mean. Instead, use clear, concise sentences. Although the customers deliberately opted in to be on your list, there's a possibility they change their mind. Also, many countries require you to provide a chance for the customers to stop receiving promotions through phone calls or texts. The opt-out option must then appear in each of your marketing texts. Make it simple and short: "Reply STOP to opt-out" works great. Just like any other tool in your marketing strategy, SMS marketing requires serious analyzing. What it the opening rate? How many percents of conversion rate did you get per period? Another factor to take in consideration is the type of SMS you sent. Which gets more engagements from the customers: information or deals? You should also have an idea of the frequency that works best. Based on the data, you can decide which factors to change in your strategy. In the era where people can't live without their phones, SMS marketing is a great channel for a business of any size. Don't forget to keep the interest of your customers at the heart of your text marketing strategy. Only text them deals they can really benefit from or essential information. Respect their rights according to the law, and their wishes when they want to opt out. Have you tried an SMS marketing before? How did it work out for you? Leave us a comment below. If you're looking to start your text marketing efforts, you've come to the right place. Our online SMS portal has comprehensive and easy-to-use features. With our free trial, you can even start sending SMSes right now! If you wish to get more information or have questions, please don't hesitate to contact us. We're ready to help!